#HolidayTrain2014 Photo Contest – Peninsula Moves! 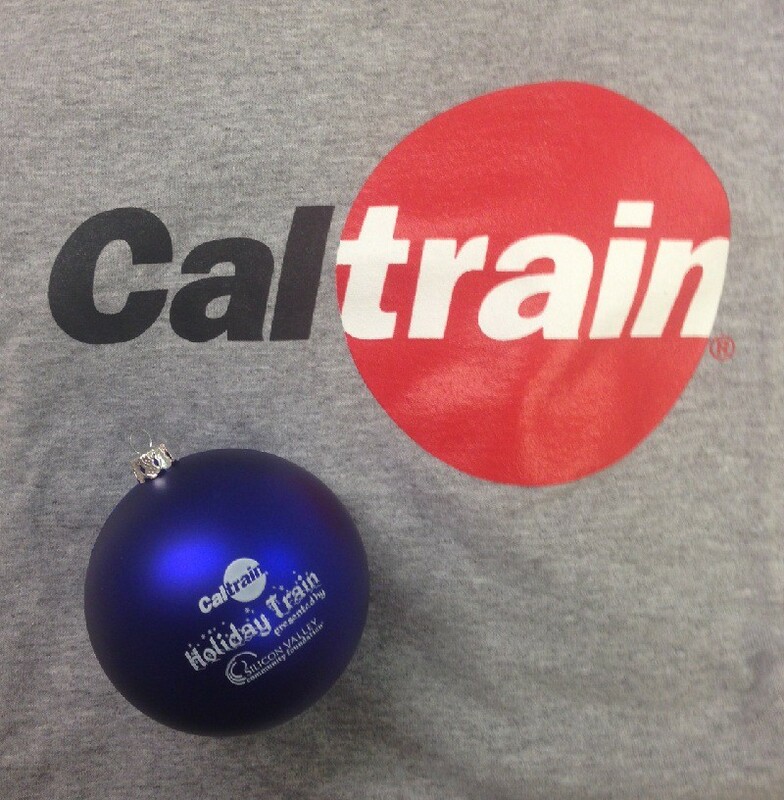 Prize: Caltrain t-shirt and a Holiday Train ornament. The 2014 Holiday Train is almost here! To get in the spirit we’ve launched our 2014 Holiday Train photo contest. Right now, the specially decorated Holiday Train car is out in service. Get your cameras and mobile phones out and snap a photo when you see it coming by then send us the photo. We will select one weekly winner on Nov 14, 21 and during Thanksgiving Week. Weekly winners will get a Caltrain ornament and a t-shirt. The Grand Prize winner will receive four tickets to ride the Holiday Train from San Francisco to San Jose on either Dec. 6 or 7. 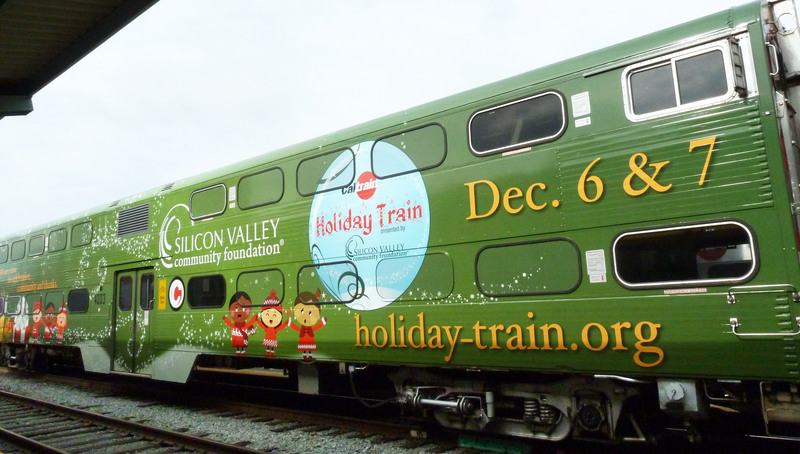 All you have to do to enter is snap a photo of the train (picture below) and use Twitter, Facebook, Instagram or email (socialmedia@caltrain.com) to send us the image using #HolidayTrain2014. Selection criteria: The winning entries will be selected by the public affairs staff and will be selected based on composition and clarity. Good luck and happy snapping!